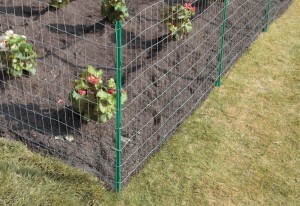 Now that it’s time to start planting for your garden it’s also time to make sure that you keep those animals and pests out by building a fence. All you will need is some poultry netting and fence posts- both of which are on sale this month at GNH, so not only can you start building, but you will be getting a great price on your supplies! 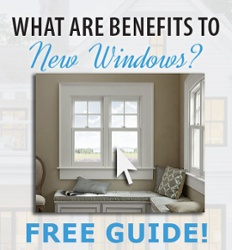 Follow these easy steps and you will have your garden fence up in no time. Determine where you want the fence, and how much fencing you will need. Keep in mind that your posts should be about 6 feet apart, so you will need to figure out how many posts you will need as well. Once you have all of your supplies, push the posts into the ground by stepping on the fin at the bottom. 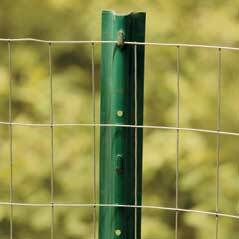 Line your roll of chicken wire up with a corner post and slip the horizontal wires along the second column of wire cells into the tabs on the posts. 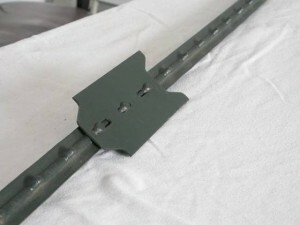 Next, unroll the wire and stretch it to the next post, ensuring the wire is taunt and level. Hook the wire to the post in the same way you did on the first post, and continue this process until you wrap all the way around to your last post. You can even hammer in the tabs to ensure the wire doesn’t come out. 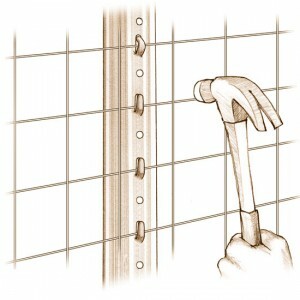 Cut the chicken wire with wire cutters evenly down the edge, leaving a few inches beyond your last wire column.